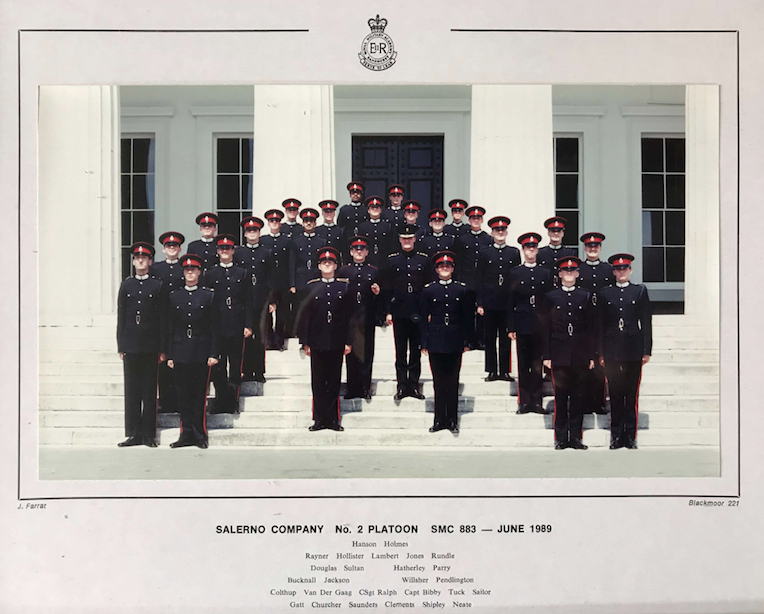 Members of 2 Pl Salerno Coy SMC 883 and their Directing Staff are invited to a 30th Anniversary Reunion Dinner at RMAS on Saturday 3rd August 2019. 19:30 Dinner in the Peninsular Room, Old College, a cash bar will be available after dinner. Dress: Black tie without miniature medals. Photographs: If you have any photographs of your time at Sandhurst, please email them (.jpg file) to membership@sandhursttrust.org and they will be displayed on a screen during dinner. If you are a member of the Sandhurst Trust, you are able to upload photos to the Gallery in the members area on the website to be searched for and seen by other members of the Trust. The closing date for applications is Sunday 21st July 2019, refunds for non attendance are not available after this date. Late bookings can only be accepted subject to catering availability, a late booking surcharge of £10 will apply.